Ashley’s line, called Livelihood, is produced exclusively for the e-commerce site Gilt, which has previously partnered with philanthropic initiatives like (RED). With her day job as a social worker in Delaware, she was able to see firsthand how communities suffered from a lack of resources. In fact, the two ZIP codes that will benefit from the first round of funding are Anacostia, D.C., where Ashley was first posted, and Wilmington, Delaware, where she was born. With the proceeds, Ashley says, community boards will be created to decide what initiatives need the funding the most. “I want a janitor, a school teacher, the local pastor, whomever is involved in the community to sit at the table and to pick the projects for economic development,” she tells Teen Vogue. Economic development could mean anything from “education, community centers, literacy programs, tutoring, or workforce development,” she adds. Livelihood’s products will be 100% made in the USA, unlike Ivanka’s failing products, which are made in China. 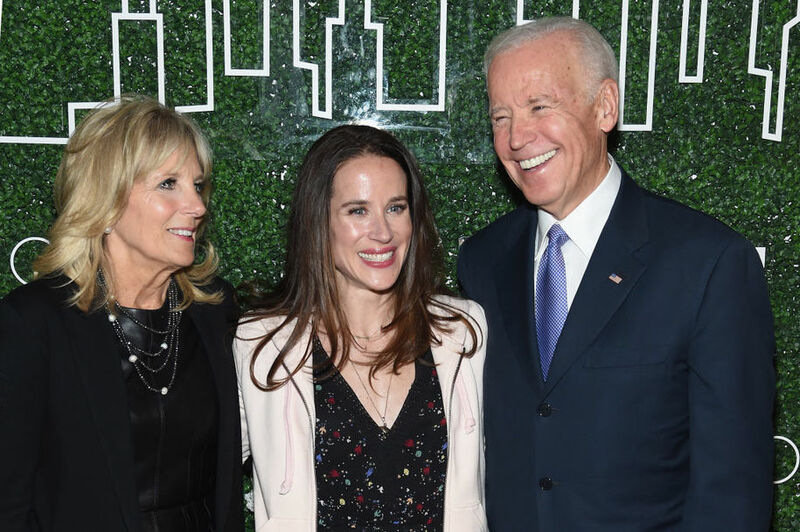 “Her commitment to trying to change the world for the better is more intense than even mine has been,” added former Vice President Joe Biden speaking to the crowd. Like father, like daughter. If you aren’t reading Teen Vogue, you’re missing out. They’ve written some of the best political articles of the year. Pretty cool. In the “to whom much has been given, much is expected” Democratic tradition.